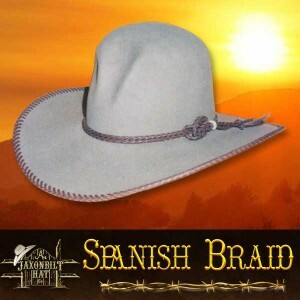 Now if you are looking to wear a hat with a lot of style, order our Spanish Braid. 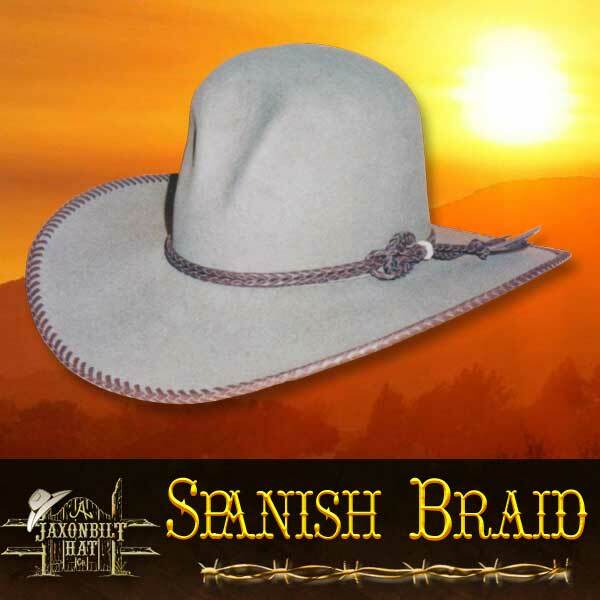 The brim edge is braided with soft kangaroo leather in the Spanish Braid pattern. 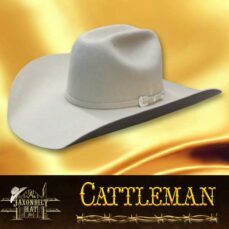 A matching 4 strand round braid hat band tops off this handsome hat. 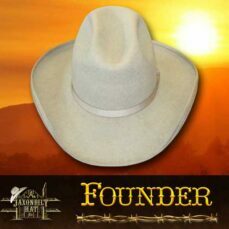 Traditional crown style with a a 4 inch brim makes this JAXONBILT a hat that will guarantee many complements coming your way. Of course, you can order yours in any style, quality, or color. the choices are yours to make. Call today for your free conformer kit.